How well I remember the sixties and the seventies, that singular musical era! Styles and genres mixed and mingled in an effervescence of creativity and non-conformism, in a search for meaning and renewal that was as singular as it could be troubling. In the London of July 1975 the songs of Cat Stevens could be heard at every corner. There was something about his voice; an unmistakable musical talent combined with words that told of a spiritual journey; the poetry of life and suffering, peace and childhood, separation and death. Peace Train, Wild World, Lady d’Arbanville, Father and Son: all popular hits, all expressing the rich, complex and often tormented inner life of their creator. Two years later, in 1977, Cat Stevens converted to Islam and turned his back on music. He later explained his decision as driven by the need to make a clean break with his past as a star and as a musician. There was no place for music in his early understanding of Islam; nor did music fit with his natural need to separate himself from a world in which he had become an “idol”, with all the inflated sense of appearance and possession that the term implies. He craved silence, intimacy; sought simply to be. His journey had become an inward one, spiritual and demanding. 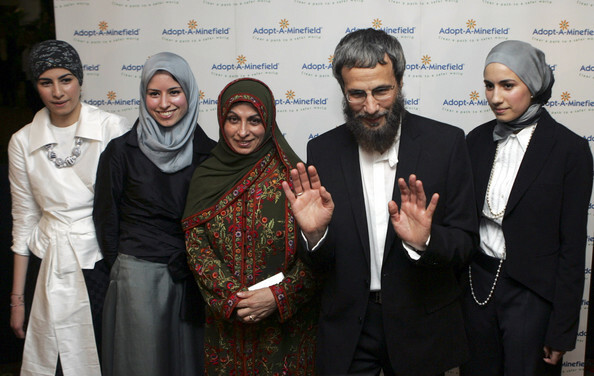 There was no longer room in Yusuf Islam, his newly adopted convert’s name, for the man who had once been Cat Stevens. Over the following years Yusuf embarked on a series of far-reaching initiatives. In retrospect we can see that each bore the seal of Cat’s aspirations and of Yusuf’s newfound beliefs. He established schools that combined academic excellence with clear-cut ethical objectives. He set up an aid and solidarity organization that financed projects around the world; he was one of the first to travel to Sarajevo to defend and celebrate Bosnian culture through art and song. He wrote tirelessly, composed children’s songs and anacheeds (Islamic chants) to be recited with no instrumental accompaniment except percussion, in conformity with the views of several Muslim scholars. The scope of his action was as broad as his gift of self was limitless: Yusuf emerged as a man of spirituality, a man with a cause and a vision. What before he’d expressed in music, he now brought into being in the most concrete way in the name of his faith, through his commitment to education, solidarity, love and peace. Music without music: Yusuf no longer wished to be Cat. Then came his reaction to the Rushdie affair, which shocked many of his friends and admirers. How could a man who had spent so much of his life singing of life, love and the quest for meaning, then taken up the cause of education, solidarity and peace, lend his support to a government’s call to kill a man? I quickly took a stand against Khomeini’s fatwa, arguing that it was more politically motivated than grounded in Islam. When, years later, I met Yusuf Islam for the first time, I asked him two questions: one, on his endorsement of the fatwa, and the other on his position on music in Islam. His response to the first was clear, unequivocal. When asked by the media about the question of blasphemy in Islam, he had answered that the Jewish Torah, the Christian Bible and the Qur’an all prescribed the death penalty for blasphemy. For all its absoluteness, his answer, based on scripture, was by no means an endorsement of the fatwa, which for him was an act of illegitimate vengeance that respected neither British nor international law. On the other question, that of music, we disagreed. I submitted to him other views on the subject, and encouraged him, with all his talent and creative powers, to return to music. Firmly believing that musical instruments were not permitted in Islam, but above all driven to cut himself off from that world, he could not accept my arguments. But though I differed with his position on music in Islam, how could I not grasp his desire to remove himself from such an intense, invasive and often disturbing past? Yusuf could never entirely escape the light or the shadow of Cat, whether in his personal quest, his one-time celebrity, or in the way others—Muslims or non-Muslims—saw him. Cat was part and parcel of Yusuf. Time went by… 28 years. His children had grown up; now they would help their father Yusuf rediscover Cat the child. Yusuf caught a whiff of Cat’s musical perfume in the guitar that his son had left in a room by mistake. It was a beautiful mistake—and our good fortune. That guitar, one of Cat’s old friends, was to summon Yusuf and to represent the reconciliation of past and present, of the star and the believer, of art and the quest for meaning. 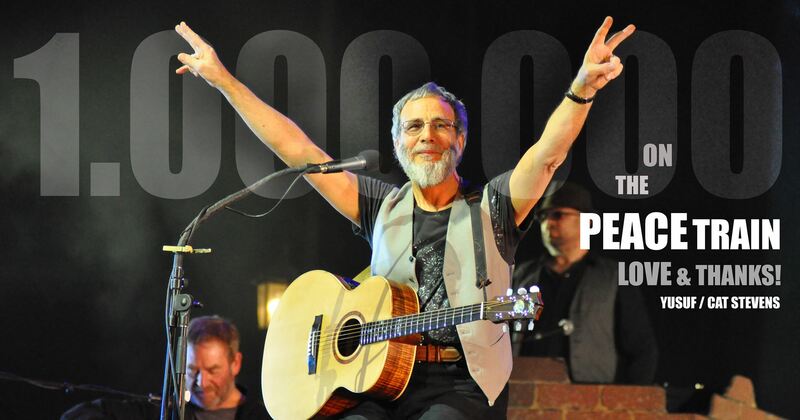 Yusuf returned to music with all his power, his voice and his humanity. With his guitar he sang of life, love, war, the environment and freedom; he now sang of the human and the universal, never ceasing to be Muslim, speaking the most intimate hopes and dreams of his fellow human beings. Once again he sang his original successes, which even then had so faithfully conveyed his doubts and hopes, and mankind’s universal humanity. At long last, Cat and Yusuf had become one. For Muslim women and men around the world, his story embodies a powerful lesson. We hear of “Islamic chants” (anacheeds) that are supposedly “Islamic” because they express religious themes, or because they employ no instruments, or because they are based on traditional or Qur’anic texts. In this light, only such chants are permissible (halal) in Islam, the only form of creativity recognized. There are indeed scholars who hold such a position, but it is far from unanimous. In To Be a European Muslim (written in 1996) I dealt with these views and took a clear position on music in Islam. Not only is it permitted, but Muslim women and men must also reconcile themselves with art, with creativity, and with the imagination in all its dimensions. Guided by their ethical bearings, they must not allow themselves to be enchained by the adjective “Islamic” that ends up isolating them, suffocating them, and depriving them of their creative energy in the universe of art, of music, painting, sculpture and literature. Muslims are constantly justifying themselves; they feel obliged to describe everything as “Islamic” to satisfy and to conform to the norm. But our ethical concerns must not force upon us an obsession with the norms of “licit” and “illicit” (halal and haram). He’s back in the studio. New album in progress. Seen in this light, any song, any form of artistic expression that celebrates humanity, love, justice, the quest for meaning, and peace is, in fact, in full conformity with Muslim ethics and needs no further qualifiers. Meaning, hopes and human edification are to be felt and to be lived; they have no need of a normative framework that bridles and ultimately annihilates them. The expression of ultimate ethical causes in art transcends the narrow limitations of specific ways of belonging, and brings together the universal quality of all that is most precious to humans, who can feel themselves uplifted, broadened, vibrating, becoming more human, more peaceful; who can feel themselves being regenerated by a voice, a hand, a pen or a brush. Music can be a prayer, a painting a path, a song a story: as long as art speaks to mankind of its heart, its wounds, its hopes, tears, smiles and aspirations, it forms the universal language of humankind and can bring about by way of imagination, emotion and the heart what no dialogue of reason or of civilizations can hope to offer. It’s true. Yusuf had been a part of Cat before Cat became Yusuf: a paradox that the Sufi tradition has long taught us. It was necessary for Cat to set out in search of Yusuf for Yusuf to discover and understand Cat’s secrets. Now at last the quest and the path converge: artist and believer now sing with the same voice. For faith and art are friends of the beautiful, and in the end, together create a love story: “God is beautiful and He loves the beautiful,” as He loves those who create beauty, the friends of hope and the seekers of meaning. Awakening Records New Islamic Reality Show? Sami Yusuf’s Live Chat in Google Hangout!